H & M is going green. Have you ever purchased anything from H&M's small line of organic cotton clothing? Did you even realize that they had a line of organic cotton, in and amongst all the throwaway items that junk up the non-trend sections? Well, they totally do and the good news is that soon, you may just see more of the eco items as H&M is boosting their organic cotton use by 50% this year. But wait! 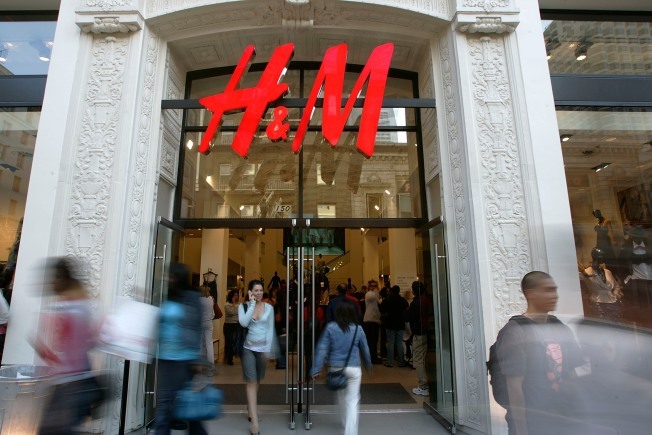 It just gets better in an awesome way: H&M is all set to use recycled PET (plastic) bottles to make a dent in their polyester production, along with incorporating recycled polyester and cotton. We hope they devote a section to showcasing these items, as it holds novelty value for the many midwest fans of H&M. Women's organic and recycled clothing including shirts, t-shirts, blouses, skirts and dresses. While men can get organic or recycled suits, shirts and sweaters. Youths and kids collections will include t-shirts, pants, shorts, skirts, vests, jeans and more. Add to those items a bunch of accessories. If H&M is going to continue to be a hotbed of polyester creations, then they can at least be a pioneer of polyster by adding the element of eco-friendliness. We can't wait to see the PET men's suits!